GRIP™ stands for Green Reliable Intelligent Polymer. 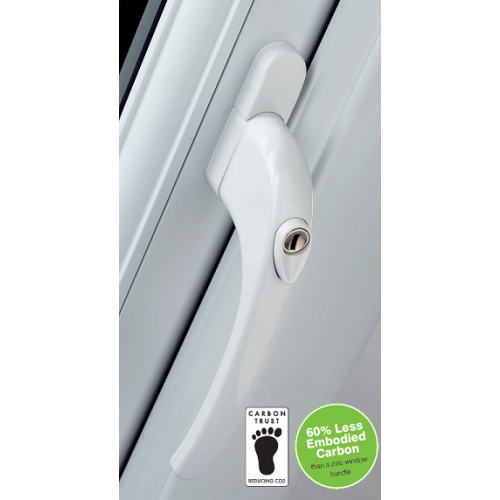 The handle is manufactured from high strength, fully recyclable ABS and has been specifically designed to be ‘green’. 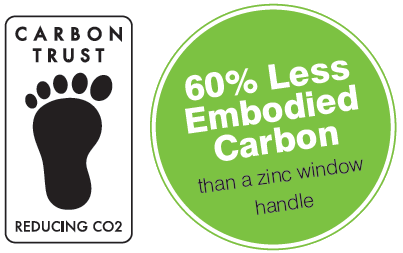 It is the only window handle in the UK that has been certified by the Carbon Trust and has a carbon footprint which is 60% lower than a standard Mila espagnolette handle. The carbon generated by every aspect of the production process - from the raw materials used to the manufacturing, distribution, use and even eventual disposal - has been measured, assessed, and certified. 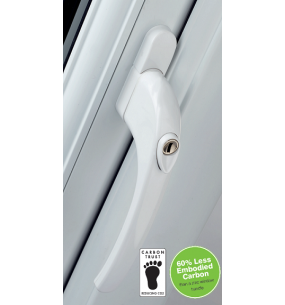 GRIP™ has been independently tested to 50,000 cycles and strength performance tested to more than 60kg - which easily outperforms a zinc handle - and is guaranteed for 10 years. The corrosion and chemical resistant ABS material is suitable for use in even the most aggressive environments because it will never corrode. The high gloss finish has been independently tested to international automotive standards for UV stability and abrasion. 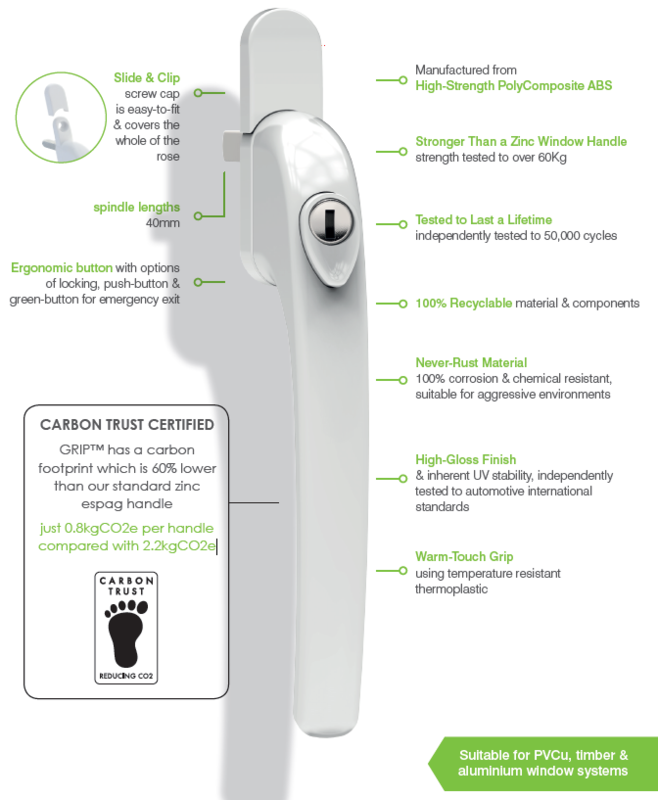 Clever, cost effective and future proof the GRIP™ window handle enables the reduction of embodied carbon in projects to comply with government guidelines. The GRIP™ handle has been developed by Mila’s in-house product design team and has a worldwide patent.